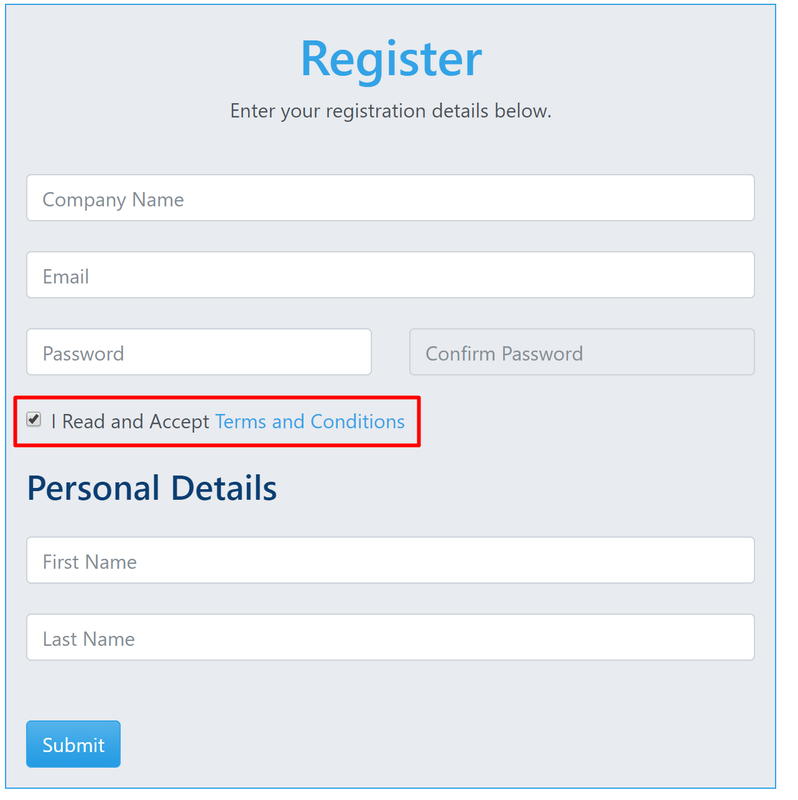 We'd like to hide the personal details container when the user has not agreed to the terms and conditions by selecting the checkbox. 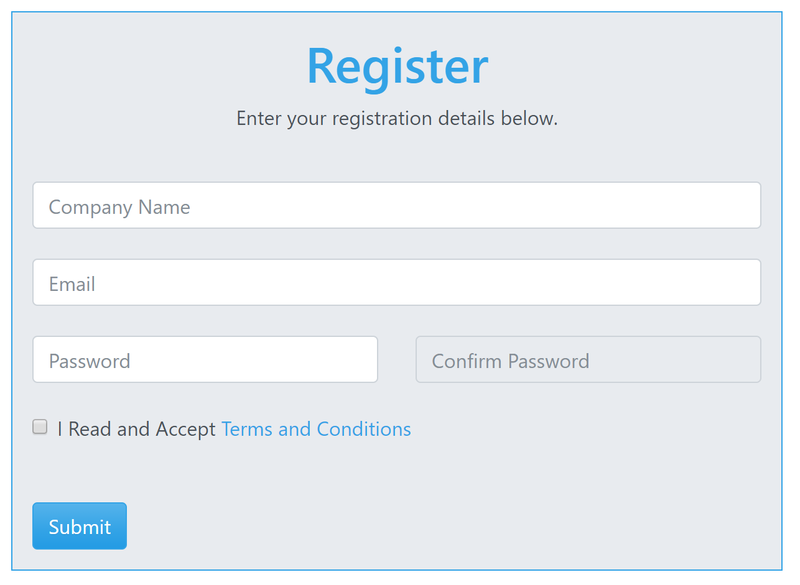 Step 1: First, we have selected the row which is the parent that we put the “Personal Details” area inside, and given the parent container row an id called, “personaldetails”(1). Step 2: Click the add dynamic attribute button. 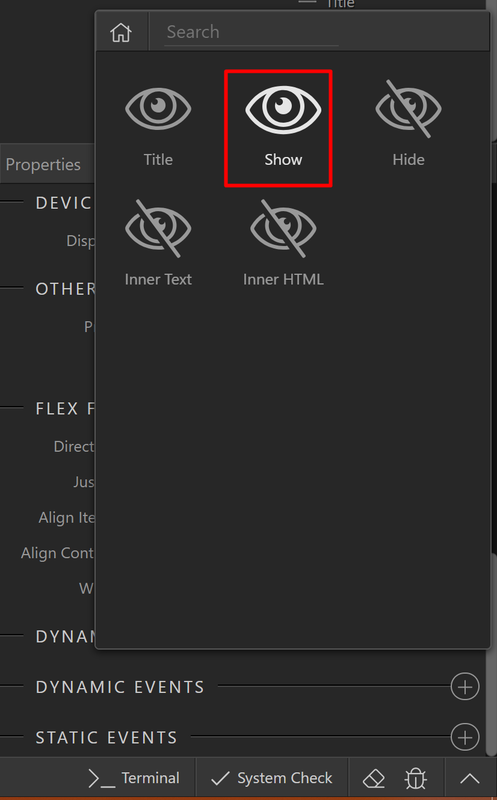 Step 3: The “Show” attribute has been added to the div. Now let’s select when the div should be shown. 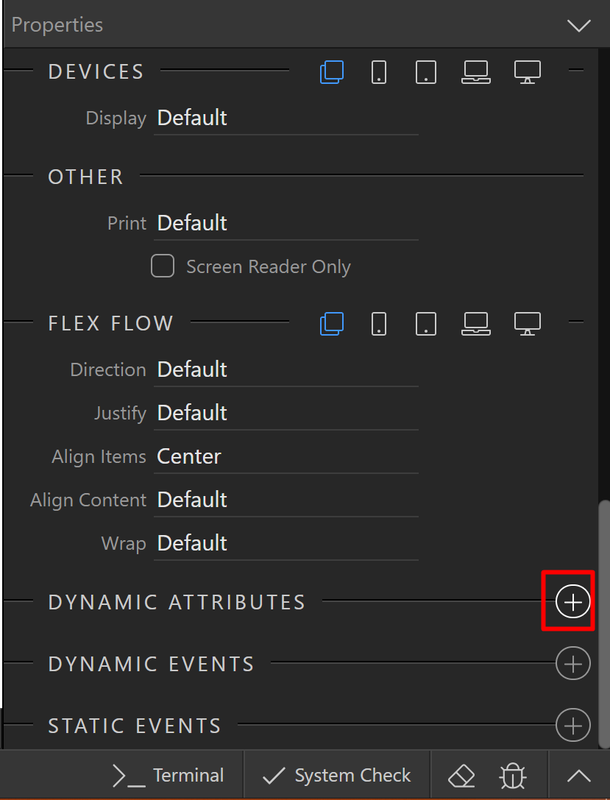 Click the dynamic data picker icon. 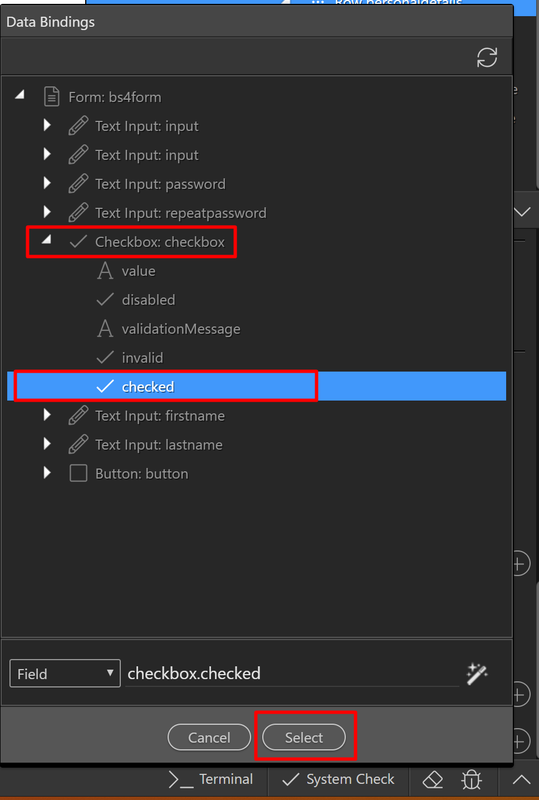 Step 3b: Expand the checkbox attribute in the Data Bindings dialog. Choose the “checked” property and click the select button. 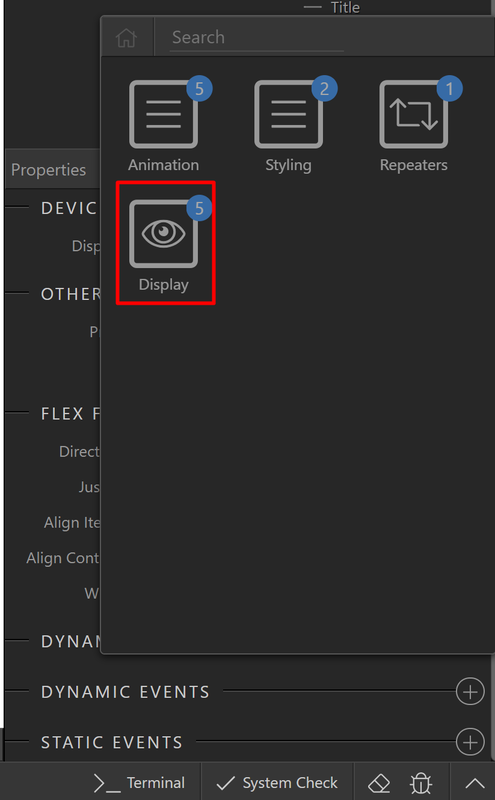 Wappler adds an expression automatically just like the previous tutorial. Demonstration: Now, our “Personal Details” div container will only be displayed when the “terms and conditions” checkbox is checked. 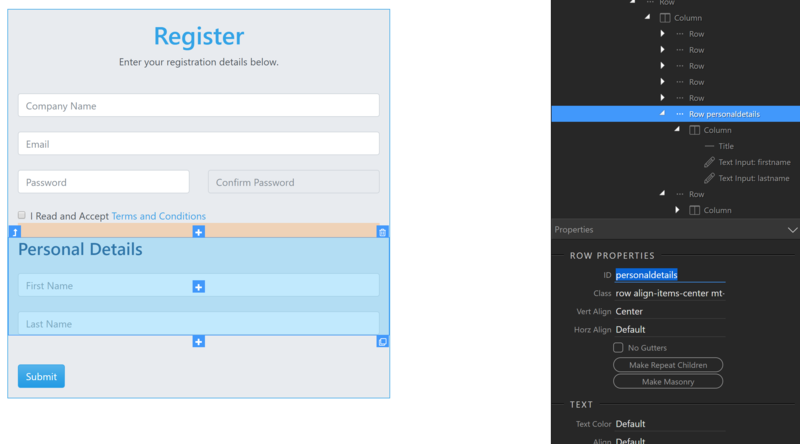 You can see this immediately in live design view.